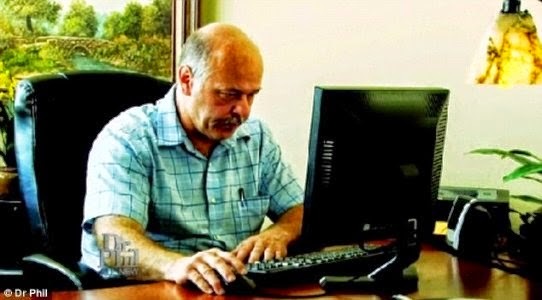 53-year-old Steven, an American, claims to have sent $100,000 to a woman in Nigeria, whom he claims is his wife but never met, over the past 2 and a half years. Steven met the woman named “Kelly” online, and according to him, they got married legally in Nigeria. Though they've never met in person, the couple communicate regularly online. Kelly told Steve that her parents had died in a car accident in Ohio in 2012, and that she was to inherit $25.6 million from her dead parents. And so, Steve is assisting her financially until she gets her inheritance. According to Daily Mail, Steve says he sells his plasma (a yellowish liquid that has to be separated from blood) twice a week in order to send money to his beloved wife in Nigeria. Kelly is said to be currently living with James, her attorney. 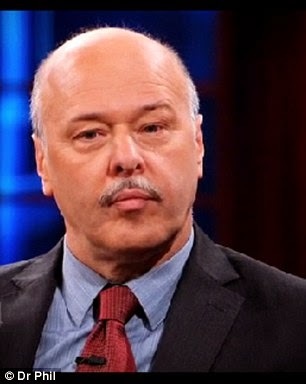 Steve, an accountant was recently featured on the talk show, Dr. Phil, where he revealed his rationale for sending money to a woman he has never met. He also stated that he had tried to meet his wife once before but things didn’t work out. Steve claimed that she had been in South Dakota at the time. However, when Dr. Phil’s team analyzed the e-mail correspondence that was exchanged between the couple during that period, it was discovered that the IP address was from Nigeria. Steve’s sister, Tammy, is worried about him, and has advised that he discontinue his relationship with Kelly. In this short clip from the show, Dr. Phil gives Kelly a telephone call, watch! During the course of the show, it was also revealed that Kelly is not the only one he sends money to. He revealed that he has several pending “inheritance deals” with clients from all over the world, and that he expects that those deals will make him a big millionaire soon.